Is this the best weekend to buy a new car? Savvy car buyers should be able to snap up some of the year’s best deals this weekend. The weekend after Thanksgiving has taken on an almost religious significance among American consumers, with millions flocking to stores hoping for great Black Friday bargains – and savvy car buyers also have reason to celebrate. 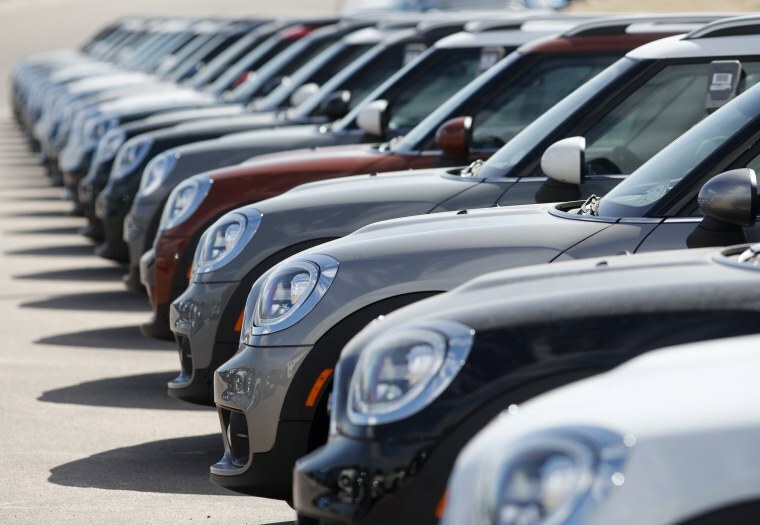 Automakers and auto dealers are offering some of the year’s best deals – and not just on the leftover models they want to clear out of inventory. Automotive retailers have a reputation for cutting deals at this time of year, backed up by hefty factory incentives. And this year will be no exception, especially with manufacturers trying to reverse a downturn in the U.S. market that began in 2017, marking the first time sales had slipped since the country emerged from the Great Recession. Rebates and other incentives vary widely, not just by brand, but also by region. Carmakers gear givebacks to prop up products where a little cash on the hood can help move the metal. So, a buyer in California might find thousands of dollars in rebates on a slow-selling domestic sedan, while shoppers in the Midwest won’t see any incentives on the same model. That said, a quick perusal of various automotive shopping sites reveals anywhere from 40 to 50 different vehicles carrying rebates of $3,000 or more. A number of others are being backed up by discounted loans that, in some cases, offer 0 percent financing. With the Federal Reserve having raised interest rates several times – and with another rate hike widely expected next month – that can be particularly appealing to many customers. Do your research ahead of time using one of the many online car buying services and apps. They can help you figure out what deals are available, as well as what local dealers have on their lots. Decide how willing you are to take a vehicle that might not be precisely the one you have in mind. Simply accepting a different color or a slightly different package of options could yield some big savings. Buying a leftover 2018 model may yield some of the biggest savings. Dealers pay to keep cars on their lots and the longer they linger the more anxious – and generous – they typically become. Check your financing options before you go to the dealership. Surprisingly, the National Automobile Dealers Association reveals that its members typically make more profits on financing and insurance -- or F&I, in industry-speak – than on the car itself. Your bank may actually offer a better interest rate. That’s particularly important to know if you’re comparing a rebate with a factory-financed, low-interest loan. Compare monthly costs to see which is actually more affordable. “Carmakers have morphed Black Friday into Black November — and beyond,” said Matt Jones, a senior consumer editor at Edmunds. The auto data service found that 18 percent of November’s total car sales were made over the Black Friday weekend in 2015. For those shoppers who don't relish joining the Black Friday crowds, more and more car buyers are going online. While there are restrictions that generally limit the ability of a motorist to complete the shopping process online, you can do a lot of your research using a web browser and a smartphone app and then head to the showroom. Industry insiders suggest that Black Friday weekend is the one time of year when you might really want to go toe-to-toe with a car salesperson also caught up in the frenzy of dealmaking.